Phyllis and I pondered how people could order my books from anywhere in the world with greater ease, and at the same time simplify things for us. Also, what if we both disappear suddenly like Elvis did? Each day there are emails and phone calls coming into our office from all kinds of people trying to learn about Yahusha. We are all waiting for Him, and want to do His will as best we know how. Our training in love never ends. What does He want us to do? He told us over and over. Find the lost sheep, and teach them everything He commanded us to obey. The one that loves Him will do what He commands. He went into great detail saying that anyone who annuls the least of the Commandments would be the least in the reign of Yahuah. The one observing (guarding, SHAMAR) and teaching them would be the greatest. Because we love Him, we obey Him. He did not give us any example to eat ham sandwiches or change the day of the week we call "Shabath". These changes happened later, and because I expose the lies I am under constant attack by very malicious spiritual principalities and powers. Our enemy is not flesh and blood. A common question people still ask me is, "is that your real name?" Yes, it has always been my name; I don't have authority over myself to change it, and it has always been the name I respond to. It was given to me by my Earthly parents. A name identifies a specific person. But who am I? Well, I'm a real person named Lew White. Because there is so much misinformation out there in the echo-chamber, we wanted to allow people to be able to have a voice at our blog. Some of the people will be lovely fonts of joy and truth, and will have clean words to share about how they feel. Some will be of another sort, since there is a spirit of jealous rage ready to spread gangrene among the Natsarim. The blog spot is linked just below my photo above. To learn about who a person is, we study their behavior. A person's behavior reflects their character, especially through the words they utter. Strangers who hide their identity from us but "report" to us about another person - is that a reliable source? If you openly attacked the reputation of someone and used your real name (identity), your own reputation would be severely damaged. 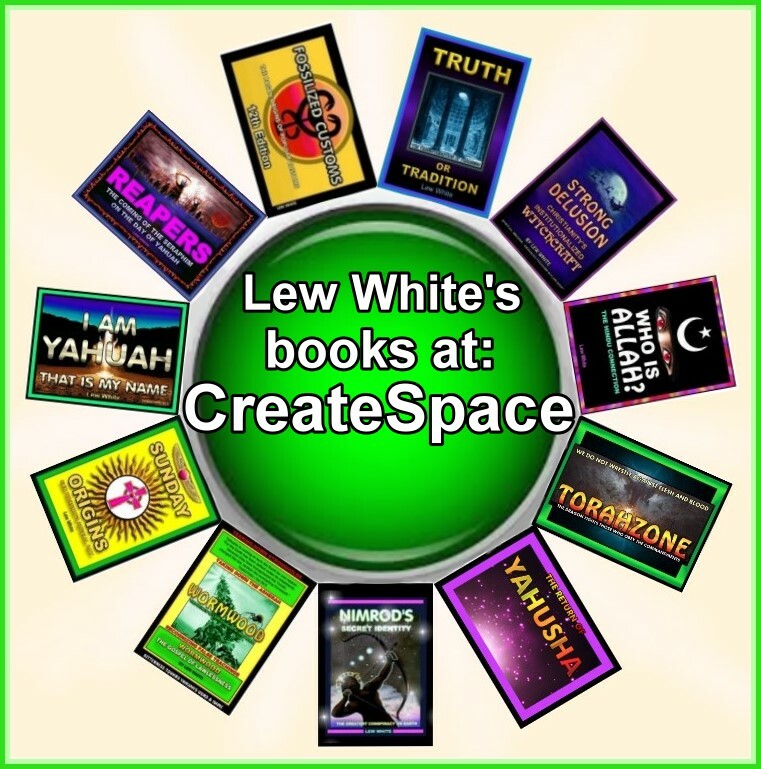 The new blog (above link) is a way to inform people about the real Lew White (the one writing this) through those who live around him and know him by what he teaches. I am an imperfect vessel of Yahusha, killed daily by the words of slander and hatred, yet through the power of the Spirit of Yahusha, I'm able to overcome every fiery dart - because He is my armor. I'm a real person, and have never hidden my identity or what I'm all about. Many of you have, or will one day face serious attacks by people who don't really know the real you. To them, you seem to have become "another person". They perceive you as a threat, and no matter how kind you are to them, they reject you. The reason for this is they have not received the Living Word Himself into their vessels, and to them we have the stench of death on us. We have died. We are no longer under the power of the evil one, and we have stepped into a another realm: the reign of the Living Alahim, Yahusha Who is in us. Daily, we grow more like Yahusha. Scripture is how we learn about Yahusha, and our relationship with Him, if we are a follower and student of Yahusha ha'Mashiak. 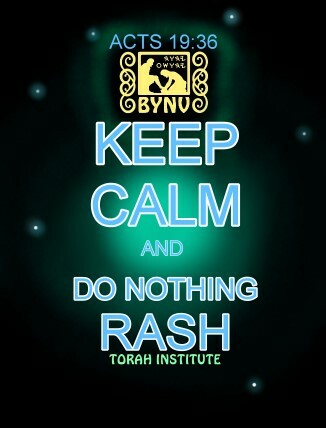 "For through Torah I died to Torah, in order to live to Alahim. I have been impaled with Mashiak, and I no longer live, but Mashiak lives in me. Accusations of being a "false teacher" have been said of me, mostly by those who hide their own identity and disable feedback. This is a testing of hearts, since Yahusha is watching closely for those who truly hear His Voice. 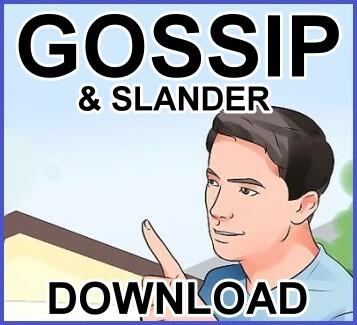 Repeating slander is a huge no-no, and is murder, because it assassinates the character and good name of another. Cyberbullying is an international crime. The true Natsarim are to forgive their persecutors, not retaliate against them. Pray for your enemies, and do good toward them. Be tender-hearted toward one another (Romans 12). We should never use second-hand sources to evaluate anyone. We should look at them directly for the fruit of Yahusha's Spirit in them, and see if they are pursuing love as the goal of the Torah as true follower of Yahusha. No one in their own right is upright, but we all share in the same redemption: the precious blood of Yahusha. We are the property of Yahusha, or we are not His at all. Our words come from the treasure we have stored in our heart. Wisdom displays its uprightness by results (see Mt. 11:19, Luke 7:35). If Yahusha was accused of being a law-breaker, then so shall His followers. In fact, if you are not being persecuted, it would seem to indicate the world system has no problem with you. Persecution always comes from the religious ones, since their blindness is caused by a sense of superiority. They are murderous in their hearts, thinking they are serving Yahuah by assassinating the body, or character, of others who they would like to see silenced. True Natsarim would not spread gangrene, but uplift others through encouragement, love, sound teaching, prayer. Our beloved brother Paul (formerly Shaul) was accused by Tertullus, a spokesman sent by the Sanhedrin (Acts 24). Paul would not have been shocked about “Sun-day”, because he knew savage wolves would later come teaching distortions. As savage wolves, they focus on collecting the tithe, yet forsake teaching Torah. The doctrines a person lives by may come from one of two sources: Scripture (Yahuah’s inspired instructions), or men’s traditions. Looking around this world, and listening to what is normally taught, it is highly unlikely most people live by what Scripture shows us as pleasing behavior before Yahuah. 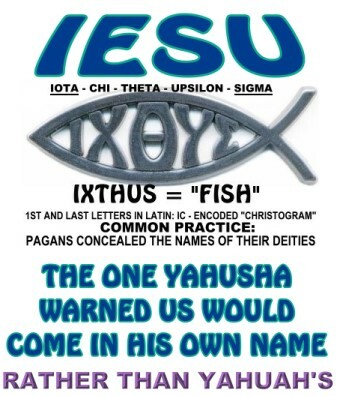 On the subject of who someone is, as Yahusha's followers we should not even ask such a question. We should ask "who does a person belong to?" As Yahusha's followers, we are not our own, but we were purchased. We acknowledge that about ourselves, and recognize it in others. If we see anyone tearing-down the reputation of others, we instantly recognize this is not the behavior of Yahusha. If we don't recognize this, we should question whether we are Yahusha's. One of the foremost tasks I was given is to expose strongholds, false reasonings and beliefs many sincere followers cling to. I do not attack the reputation of other teachers, but address only the teachings, avoiding even mentioning the names of those who hold to specific doctrines. Staying within the bounds of the inspired Word of Yahuah, we learn the Truth, and are set free from the grip of false reasonings. Stumbling blocks will come, and Yahusha will handle those through whom they come. We are here to help people Yahusha is calling. Sun-day assemblies, statues, rosaries, holy water, Easter baskets (in place of Passover and First-fruits), Christmas, wreath and tree-decorating, eating swine, sunrise services, and praying in circles. Another huge stronghold is how everyone is using a false name in place of the true identity of our Deliverer. There is only one name given among men for deliverance. (see Acts 4:12). His Name is Hebrew. YashaYahu 52:6 tells us Yahuah’s people will know His Name. 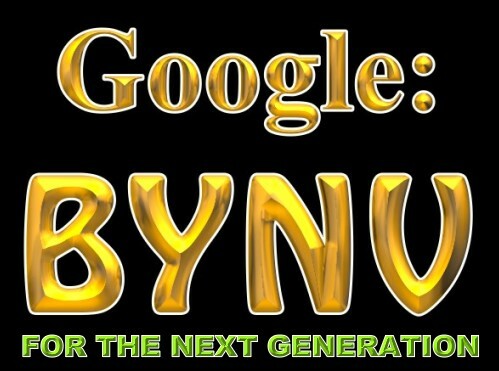 Yual (Joel) 2 quoted by Kefa tells us those calling on it will be delivered, and Acts 4:12 tells us there is one Name. The Name and the Word are above all else (Ps 138:2), and we Natsarim are the guardians of the Name, and the Word, of Yahuah. What was whispered in the inner rooms is being shouted from the rooftops. If the Torah of Mosheh is what we are told to remember before the Day of Yahuah comes, then that’s what we should be telling everyone (Mal. 4:4-6). Billions have never even heard the word Torah in their lives, and yet they support men to teach them the way of deliverance. This question, along with a condescending attitude of self-righteousness, often comes to me from fellow believers. The things many people say seem profoundly judgmental, and speak of a need for my repentance, without specifying what I may personally have done through working in the store that violates Yahuah's Torah. It’s true that I’ve worked incognito among the witches, sorcerers, atheists, Christians, Hindu’s, Buddhists, and so on. When He awakened me, I heard His call: Who will go for us? Yahusha sends His Natsarim among them; and one He chose was me. When I worked in the store, I was able to reach people personally, and I'm grateful to Yahusha for equipping and training me to be there for Him, a light in the darkness. I'd like to know what "dark practices" they seem to think I was partaking in, and how one of Yahusha's servants can be so absorbed in how He chooses to use another servant to reach the lost sheep. The plan has been Yahusha’s all along. I'd love to have been able to be used longer there, but Yahusha chose to take me away from it for the last several years to do other things for Him. 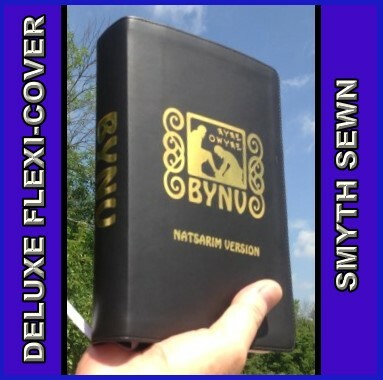 In the time since I've left the store, I've translated the BYNV, written the updated Fossilized Customs 12th Edition, and the new books Truth Or Tradition, Strong Delusion, Sunday Origins, Reapers, Nimrod's Secret Identity, Who Is Allah? and Wormwood. These books are in the store now, along with DVD's and articles teaching the Truth. I'm sorry people feel they have to warn me, but I'm busy being used by Yahusha inviting the lost in the byways and side roads of this world, to bring as many as I can to stand with us when we come to meet Him. If I look filthy to you, my heart is clean. As we work in the harvest field for Yahusha, we may seem to get dirty, but He keeps us clean. At first I wanted to run away; but Yahusha revealed to me how He wanted me right where He awakened me. One could not find a better placement for one of His Natsarim. Travelers from far and wide have carried seed away with them. If we love one another as He loved us, we will lay down our lives for one another. He gave me His heart for the lost, and uplifts me when most others condemn me. The more persecution that we endure, the more we should rejoice! 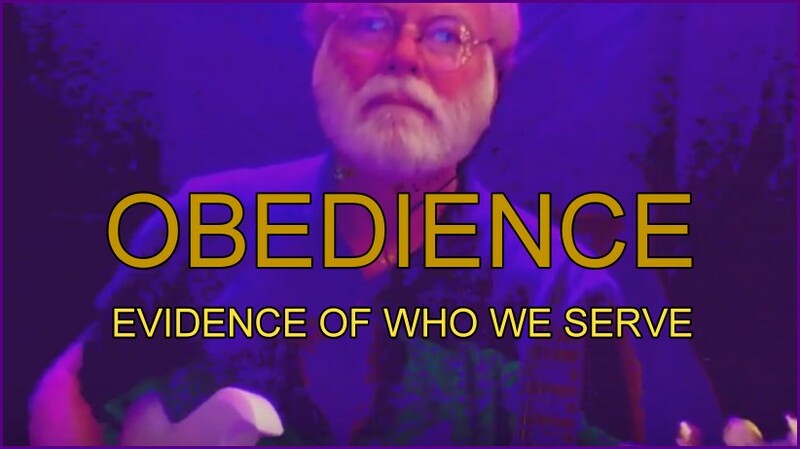 Watch a 15-minute video encouraging obedience, the evidence of who we serve. NEED ARTICLES TO READ AND SHARE?